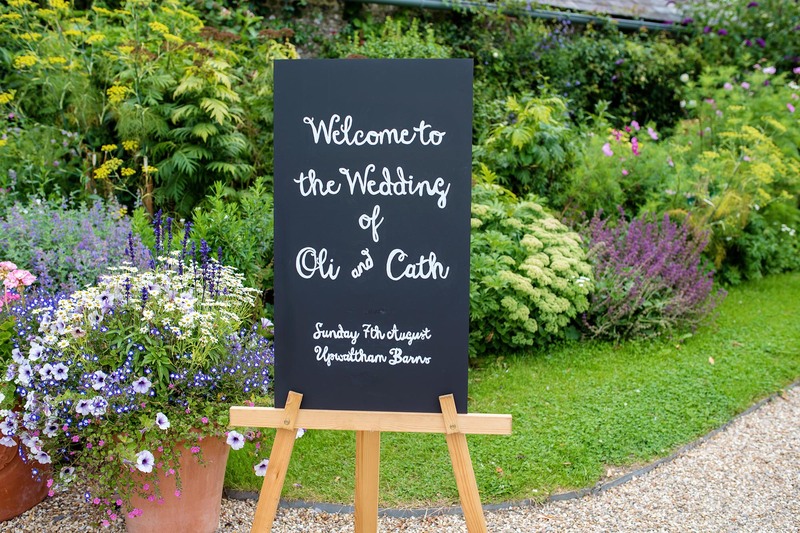 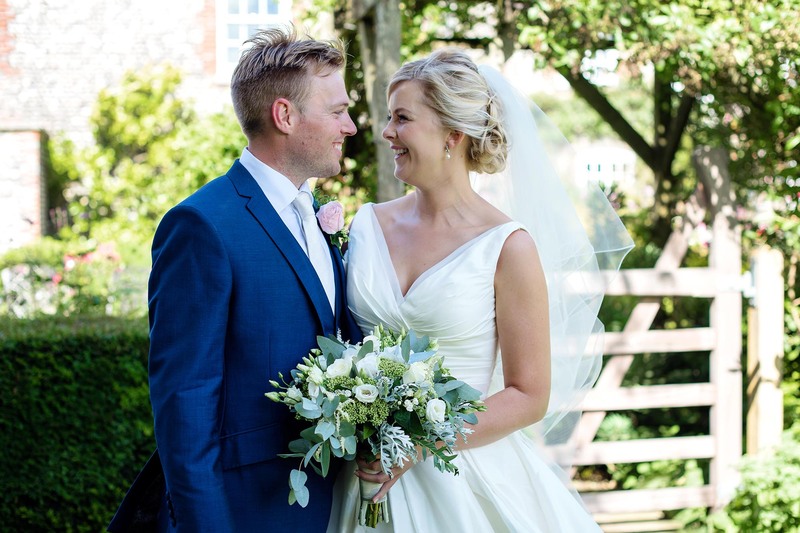 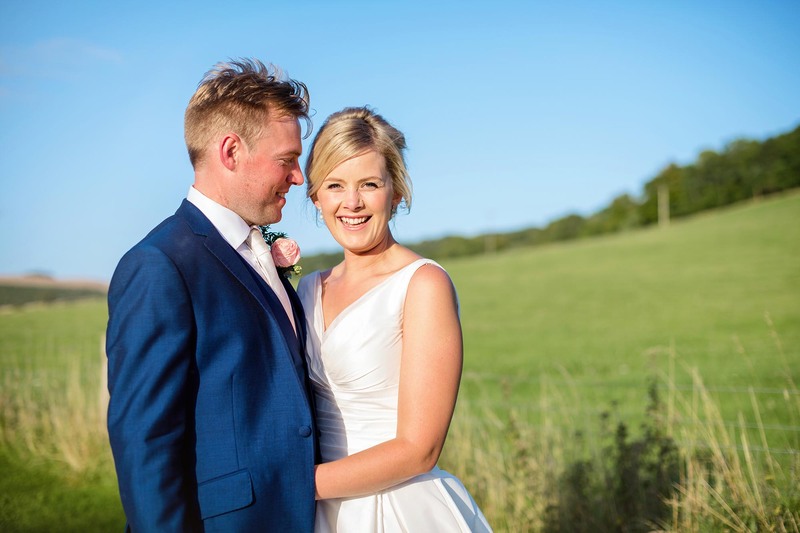 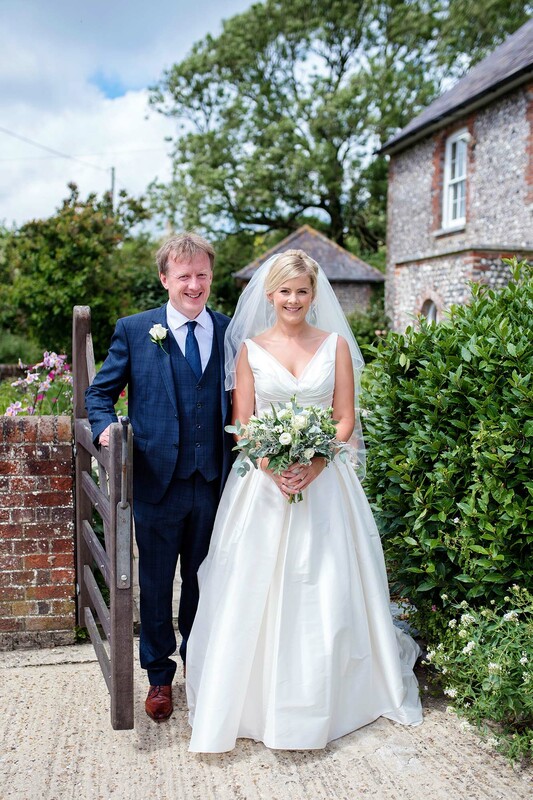 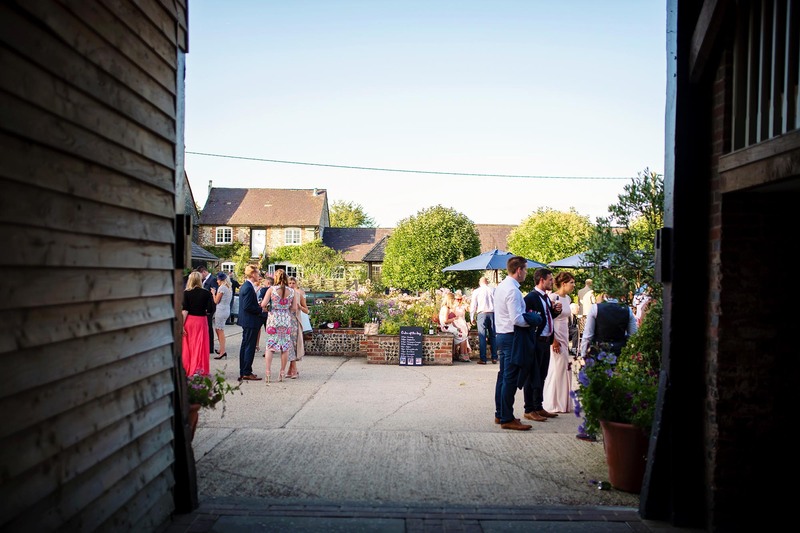 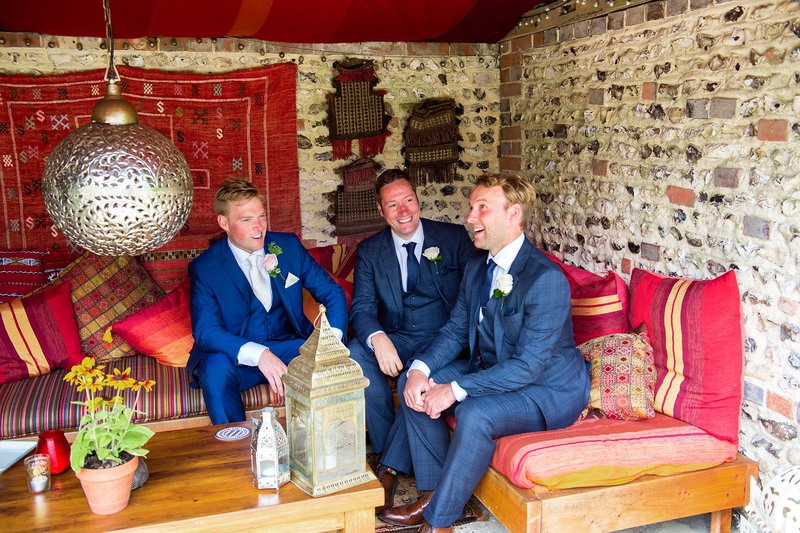 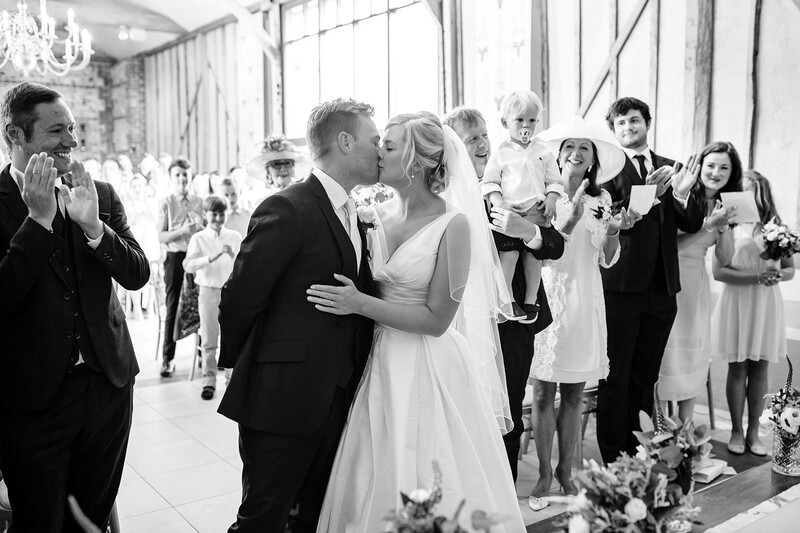 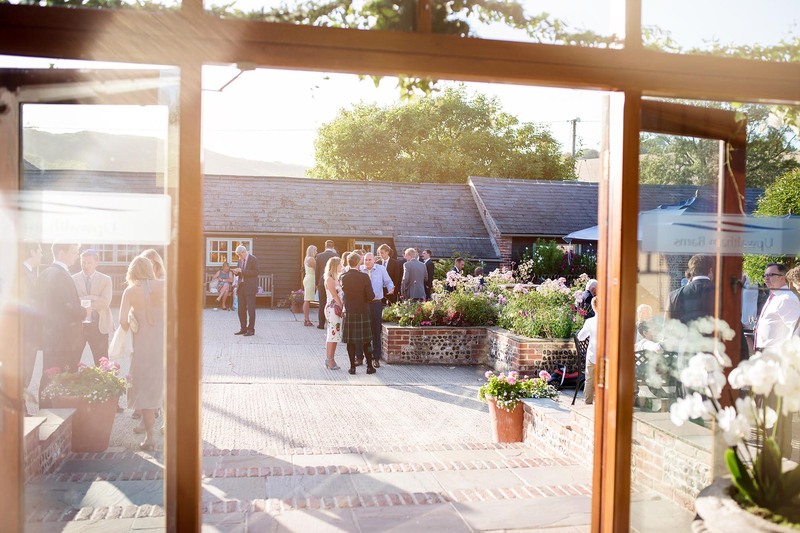 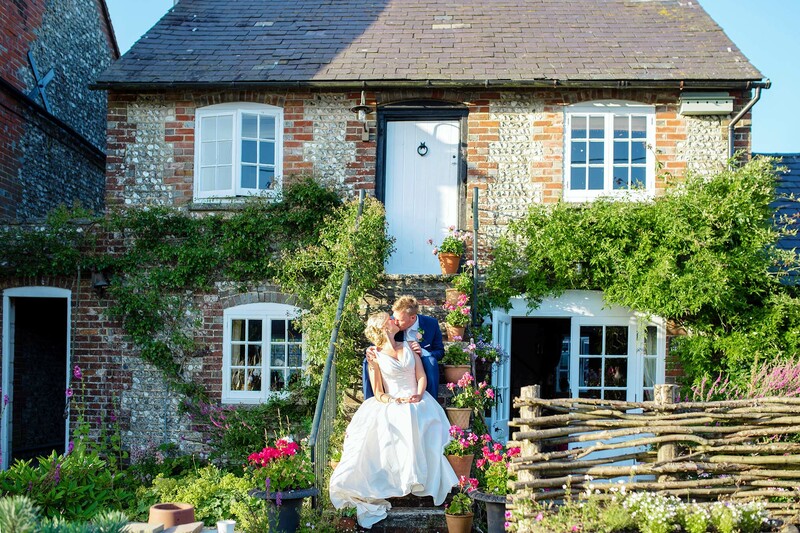 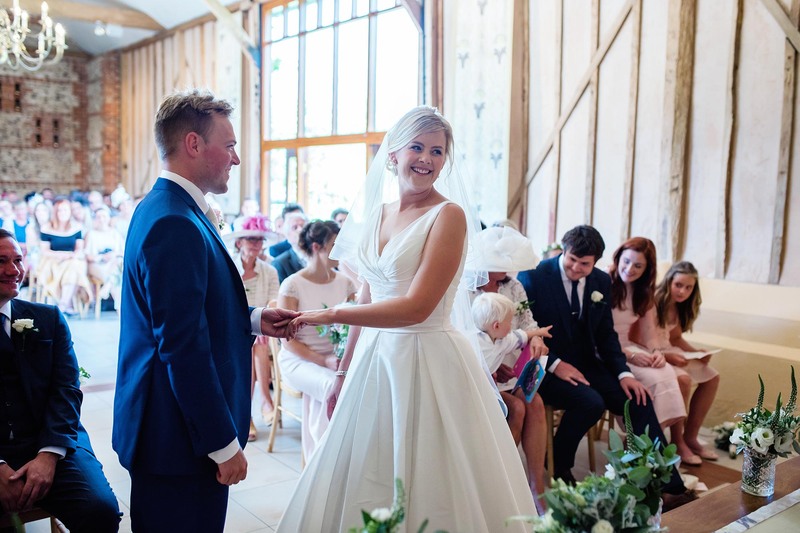 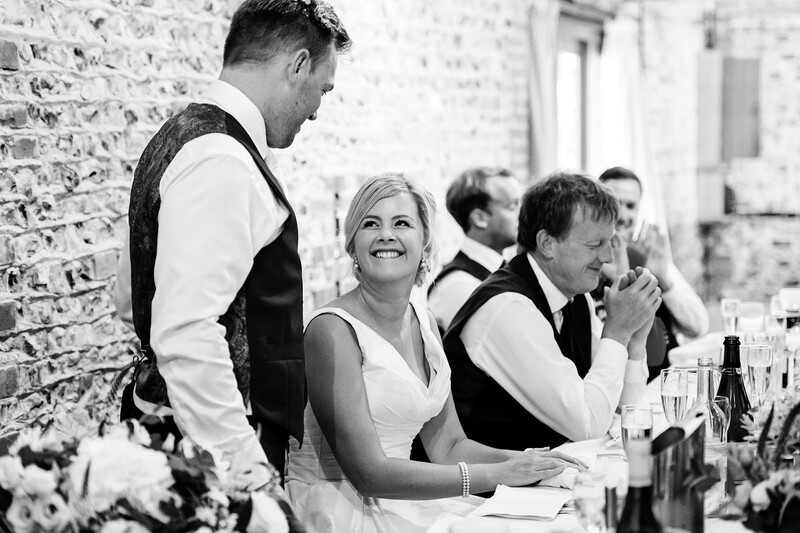 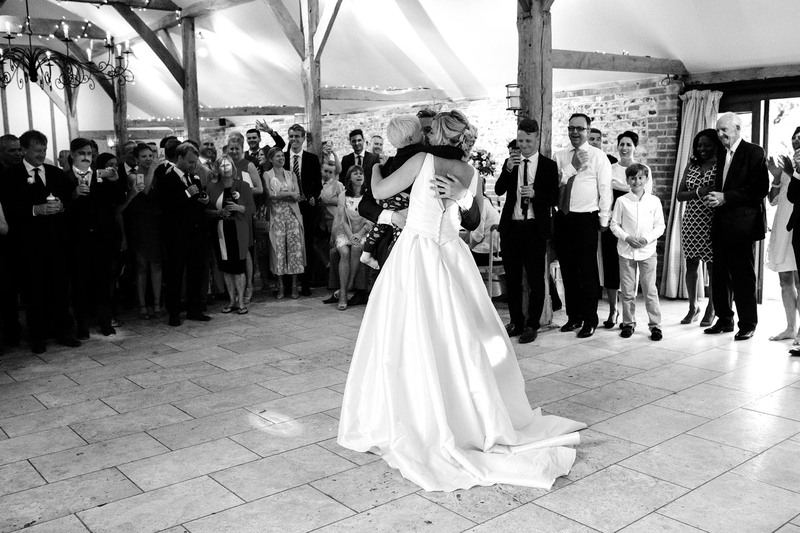 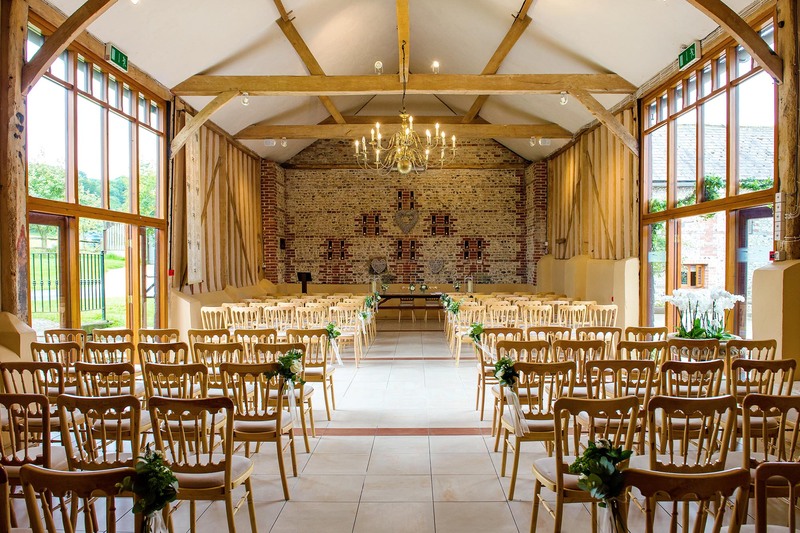 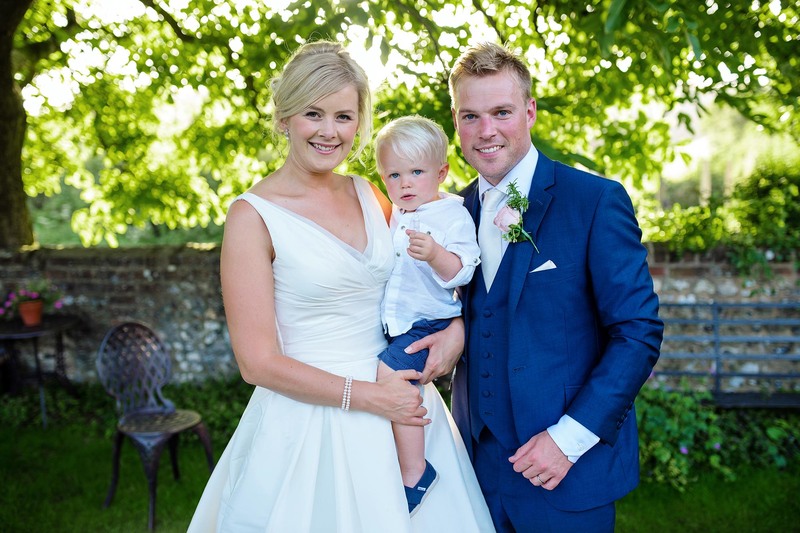 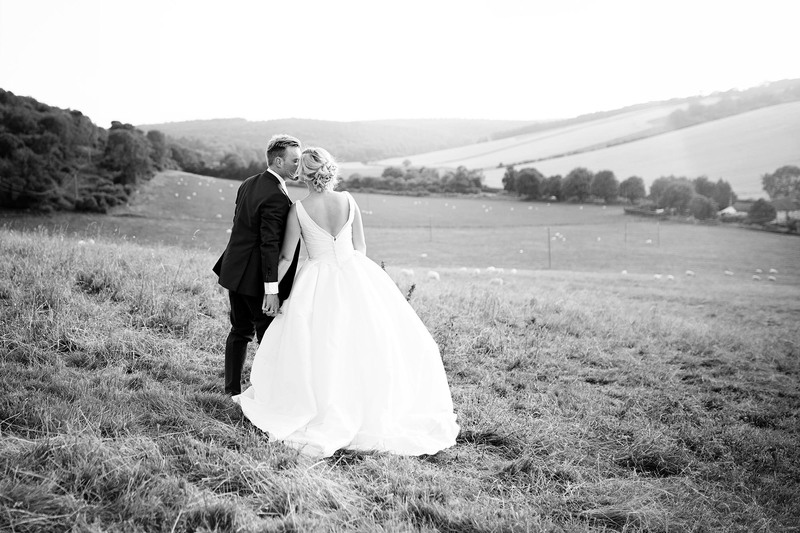 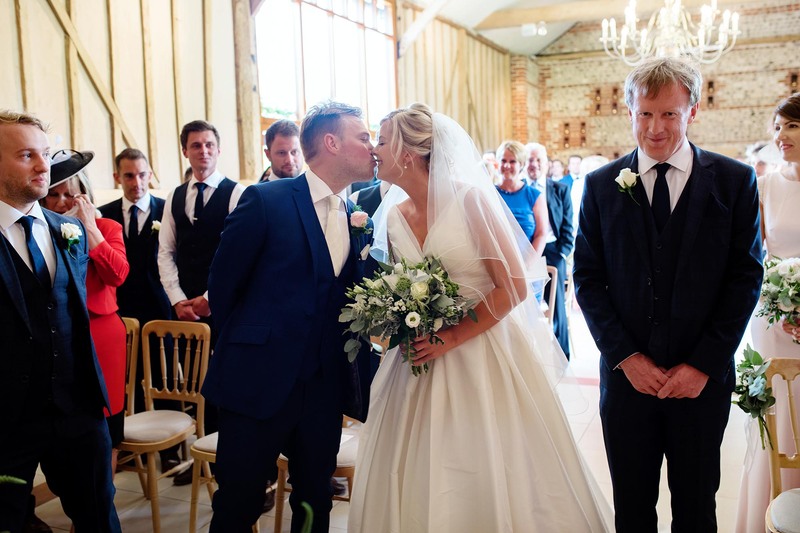 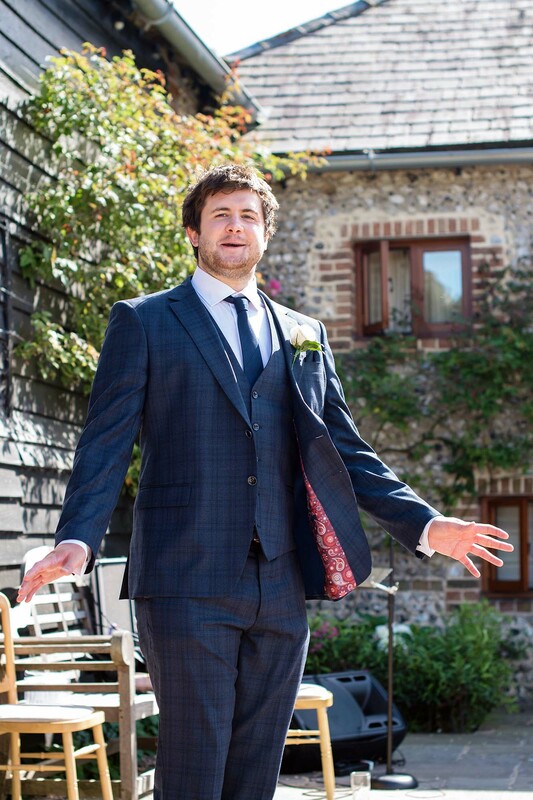 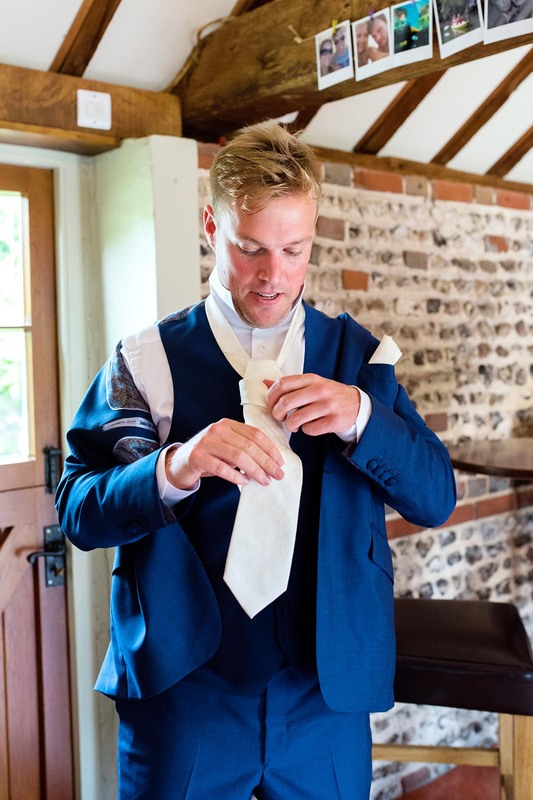 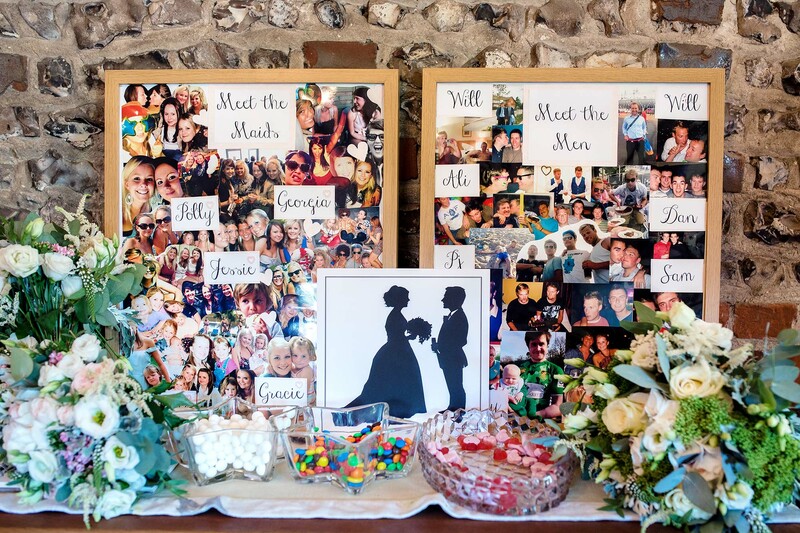 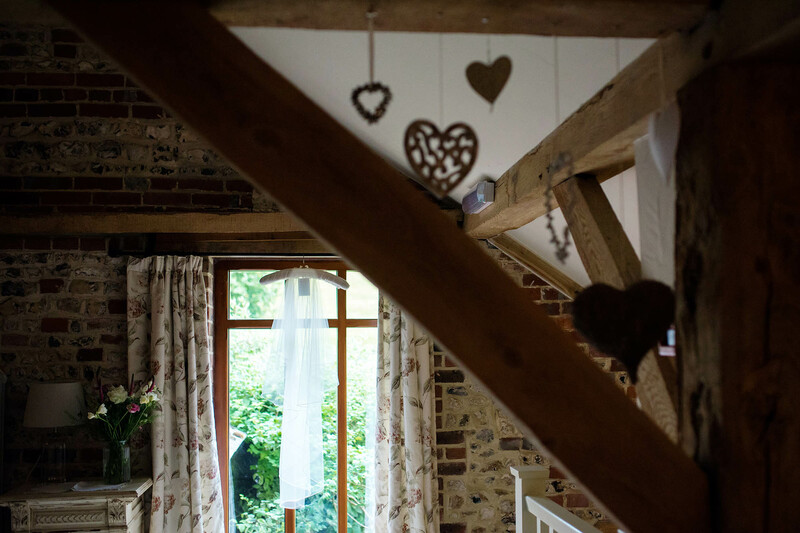 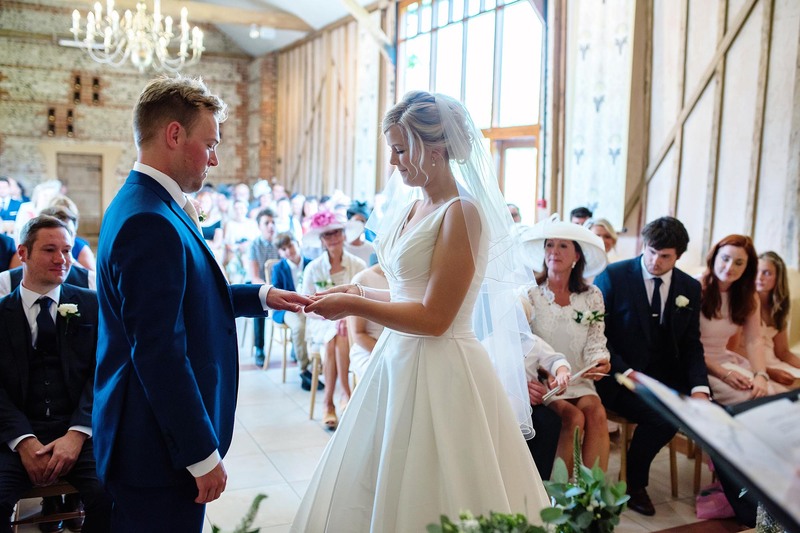 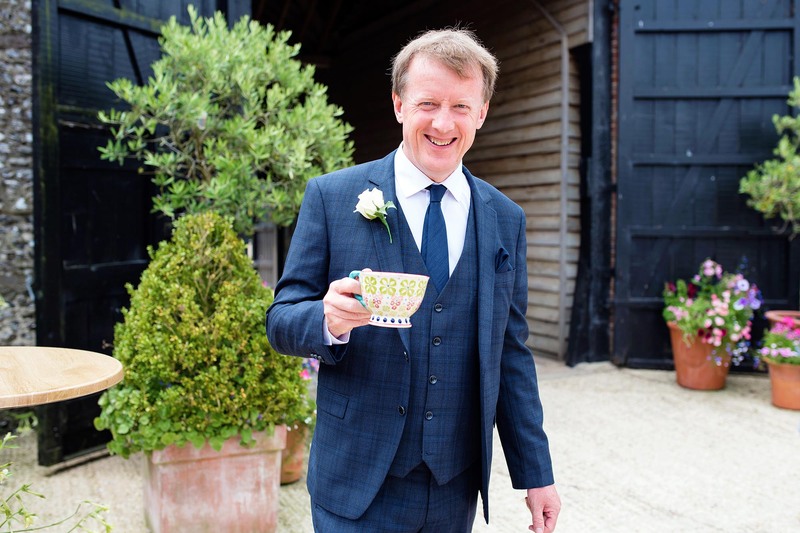 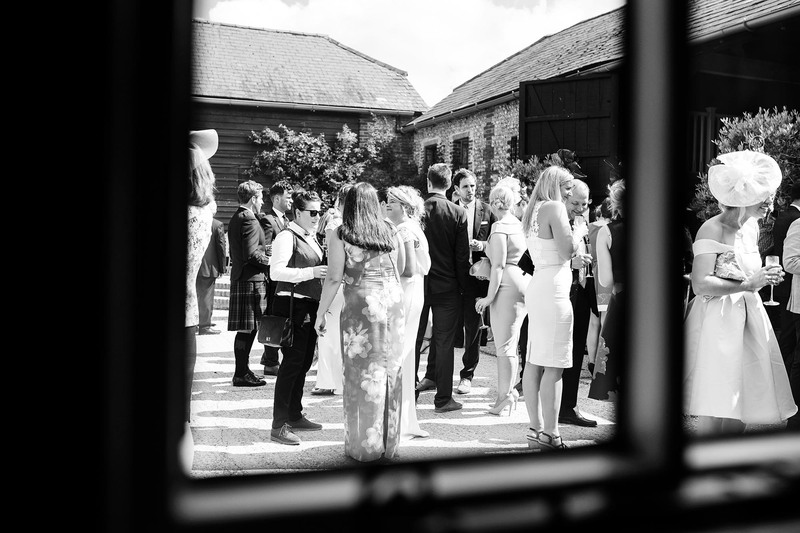 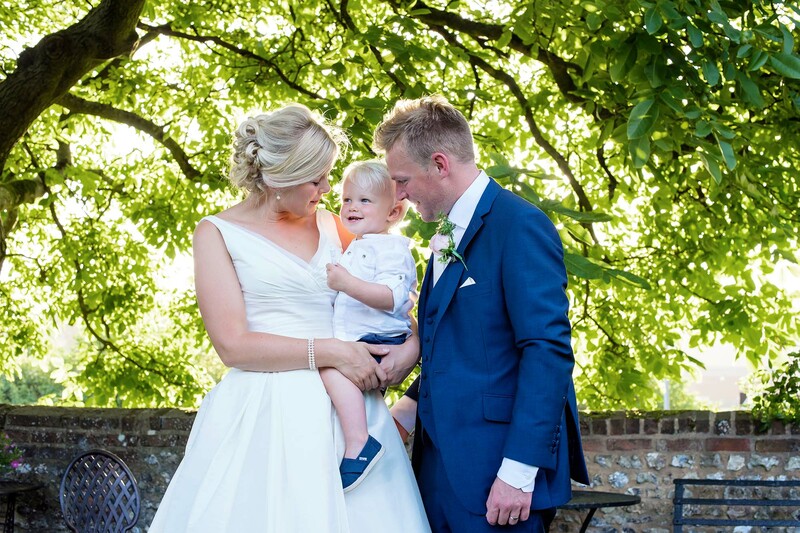 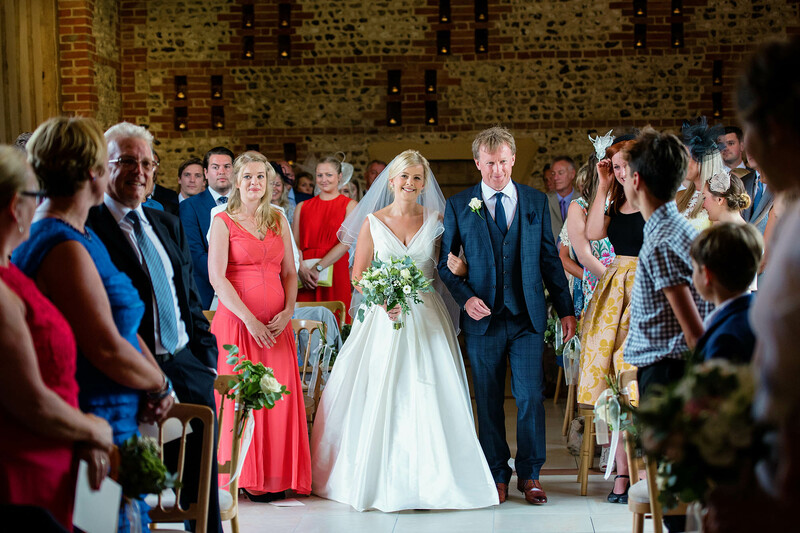 Today is the 1st Wedding Anniversary of the lovely Cath and Oli who were married at one of my favourtie wedding veues, the wonderful Upwaltham Barns in Sussex. 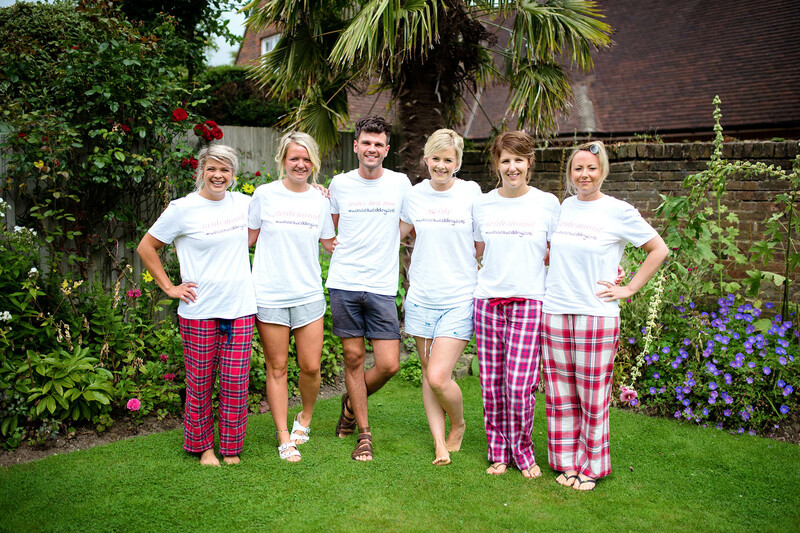 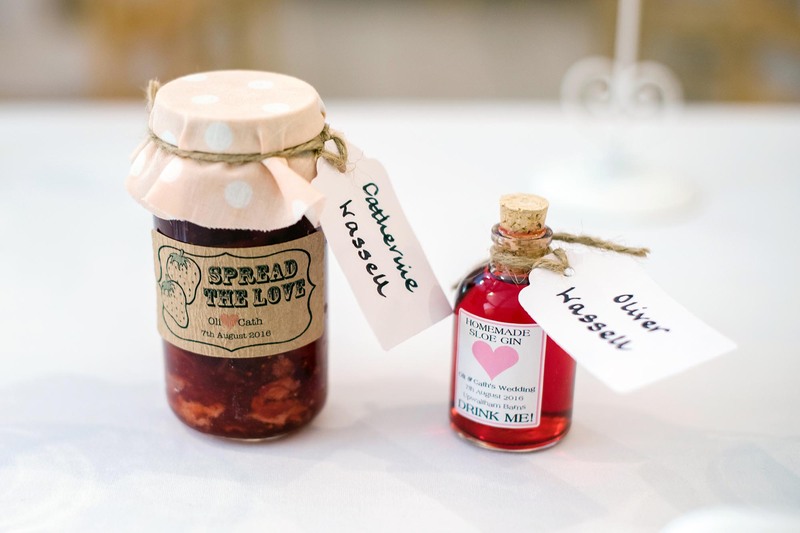 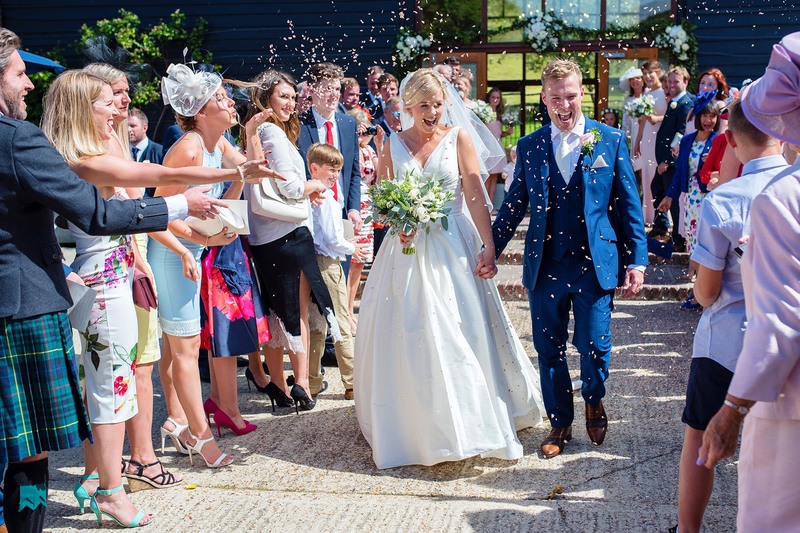 It may have taken me a year to share thier amazing wedding but I really hope you enjoy looking through what was such a fun day full of love and happiness. 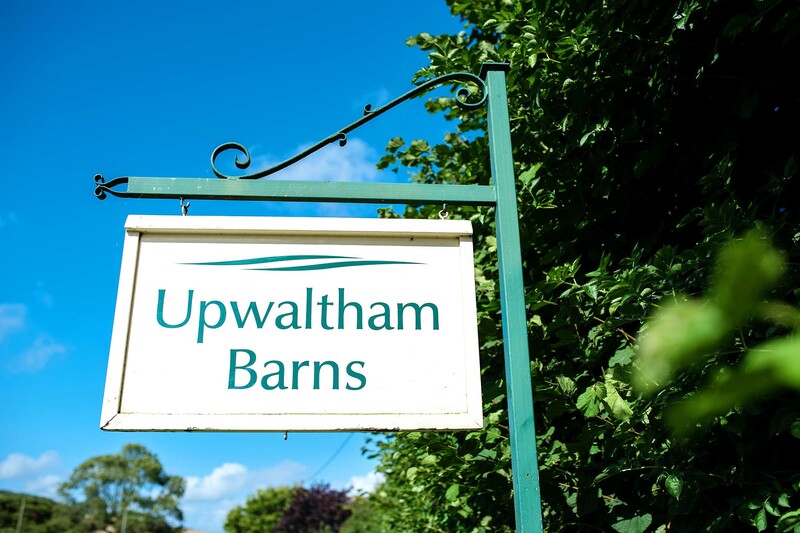 After capturing Cath and her family and maids getting their make up and hair done at Cath’s family home, I then headed off to Upwaltham Barns to meet up with Oli and their adorable little boy for some portraits. 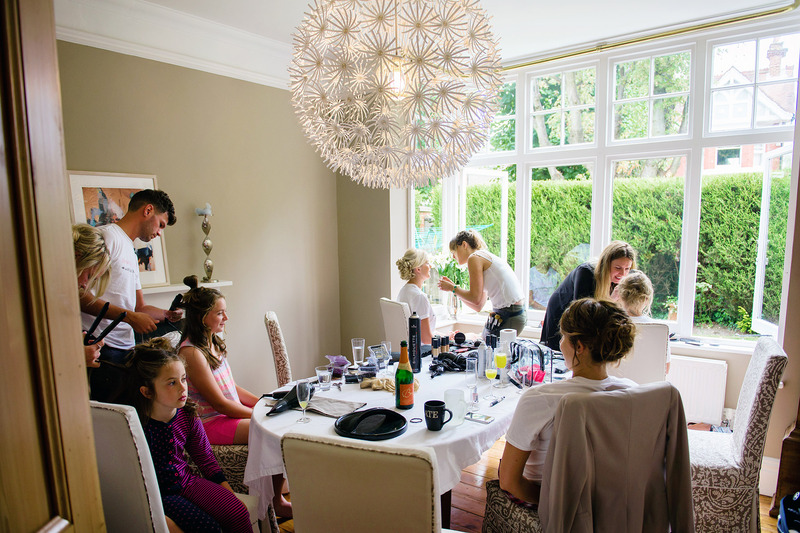 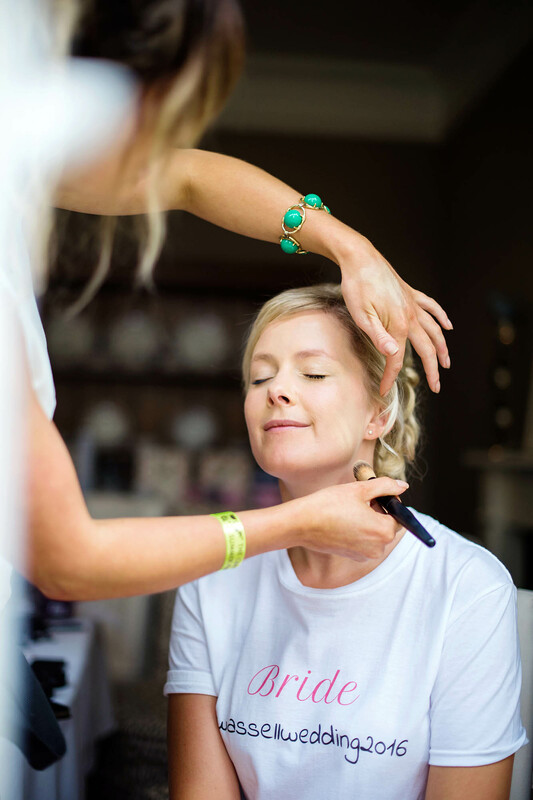 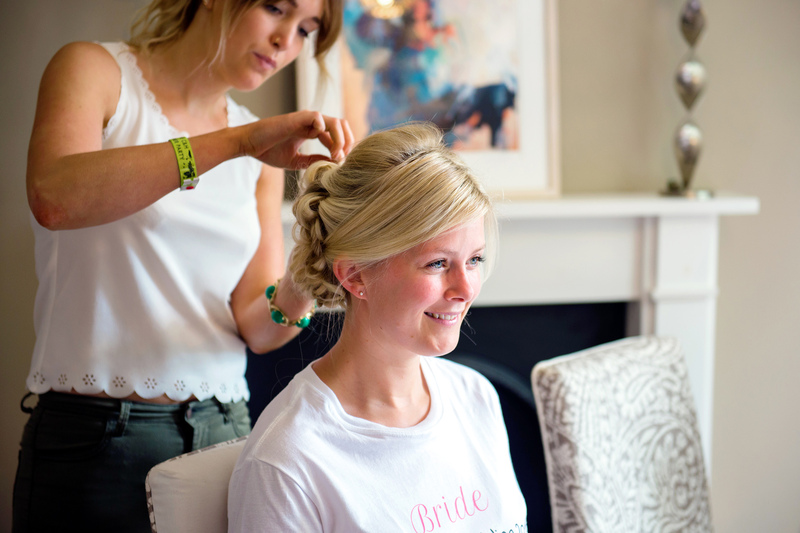 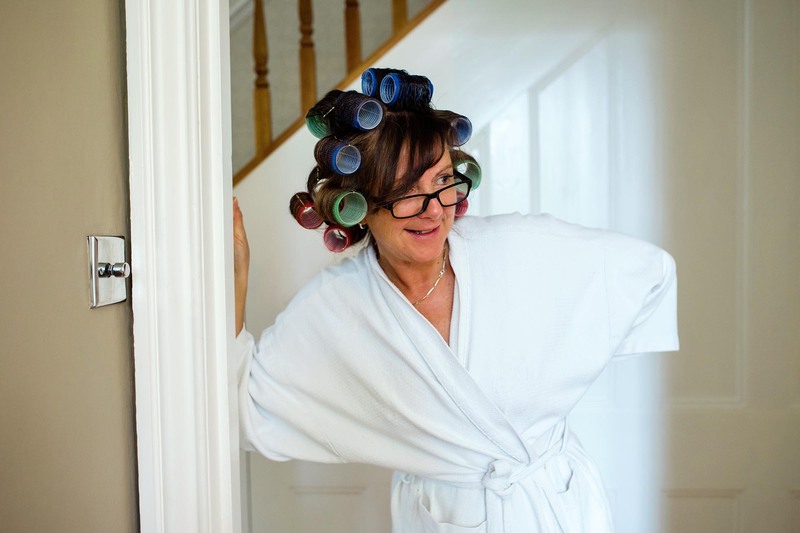 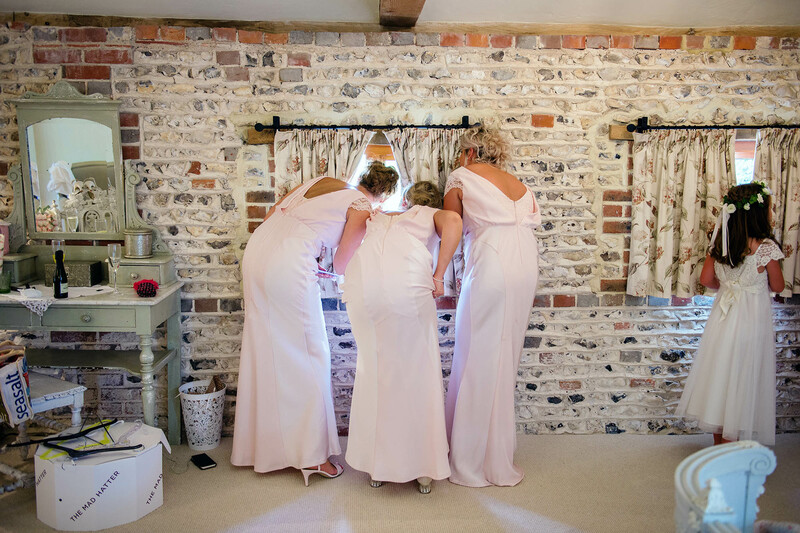 Cath then arrived and finished getting ready is the very pretty Jasmine Cottage before being walked to the ceremony by her dad – always a special moment to capture. 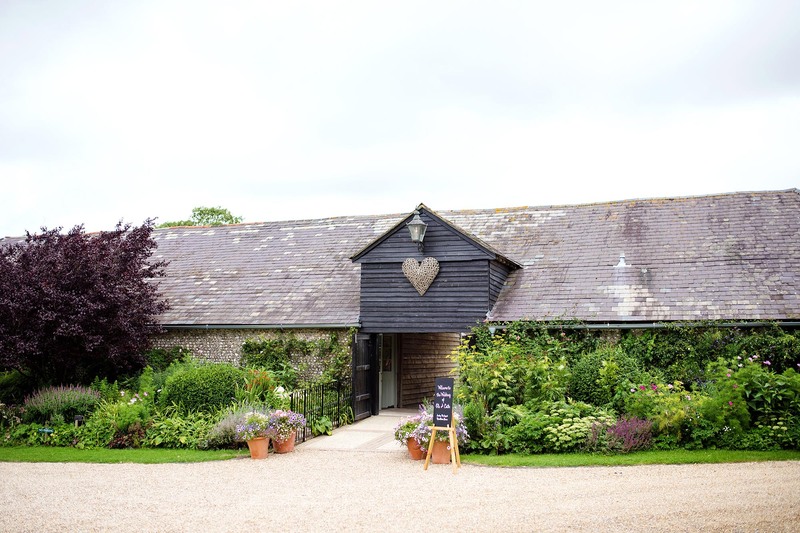 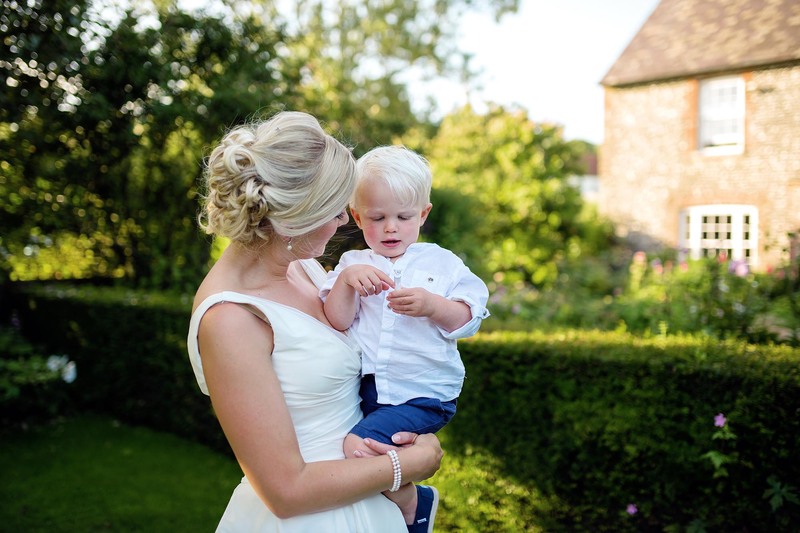 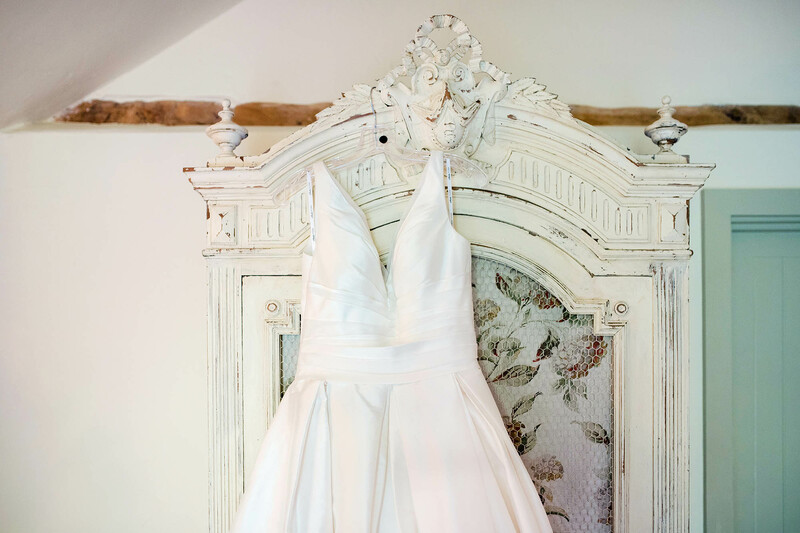 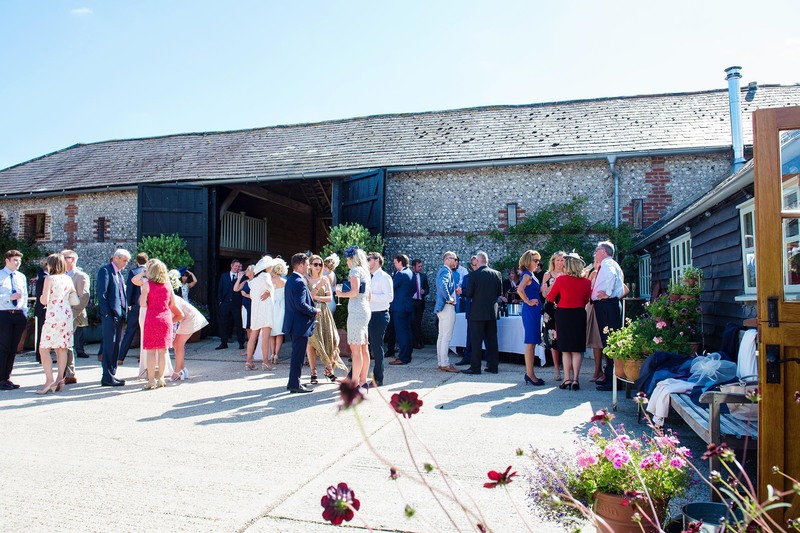 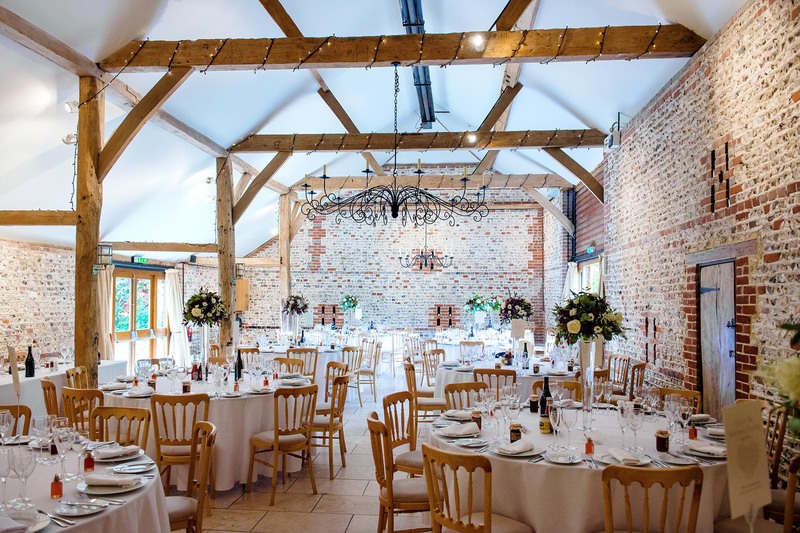 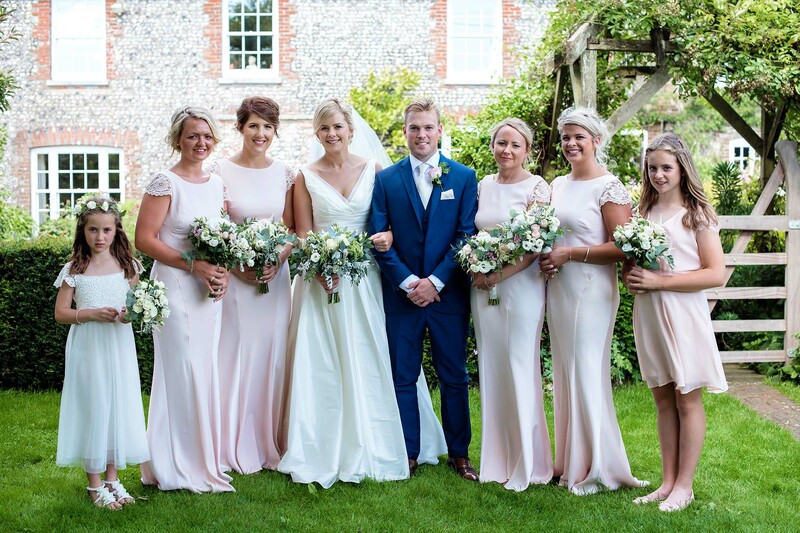 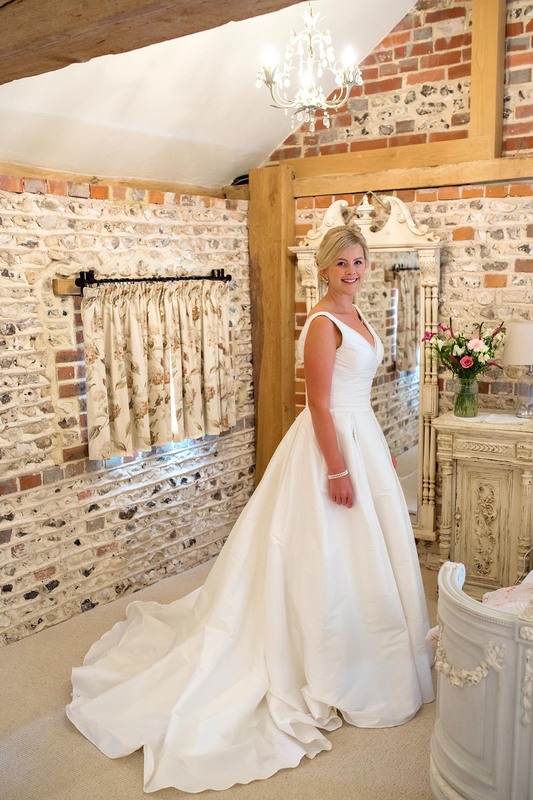 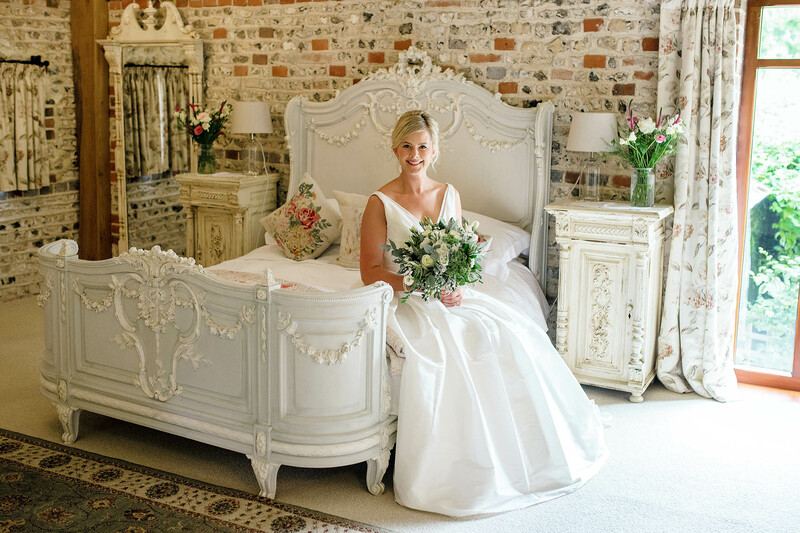 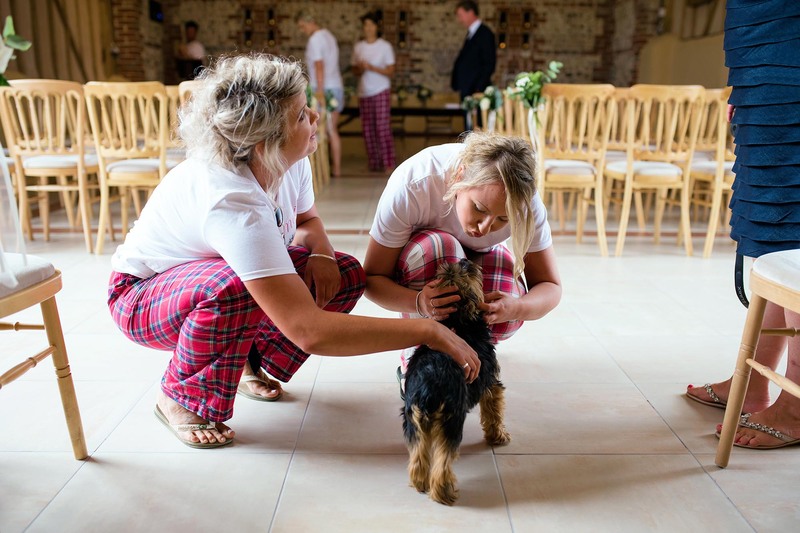 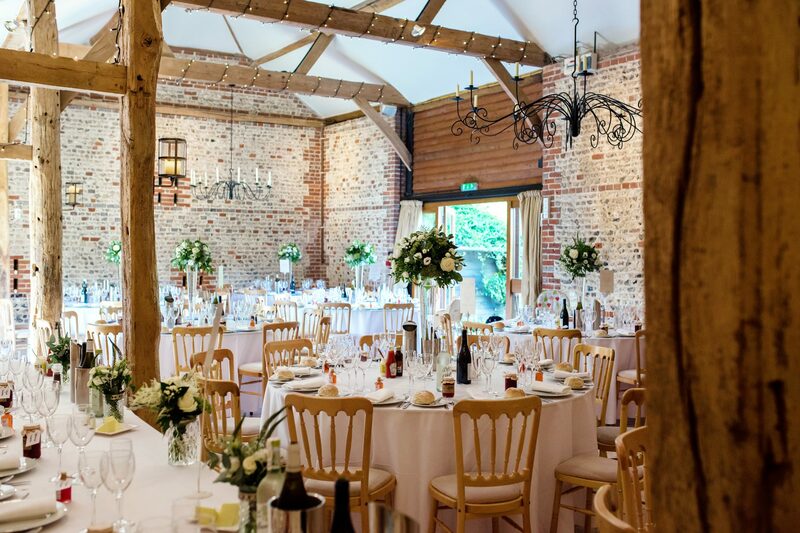 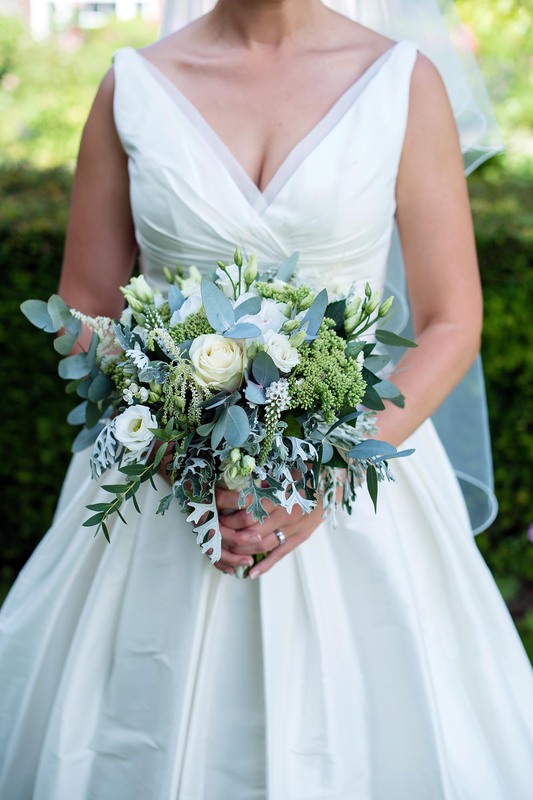 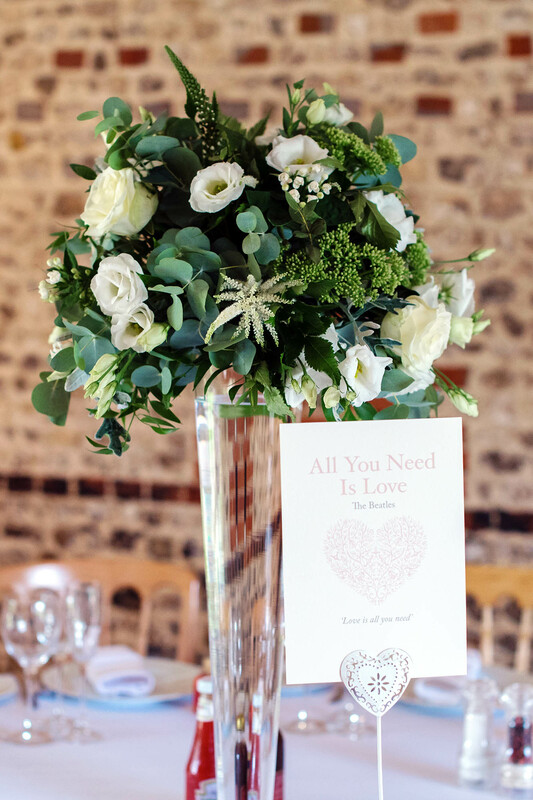 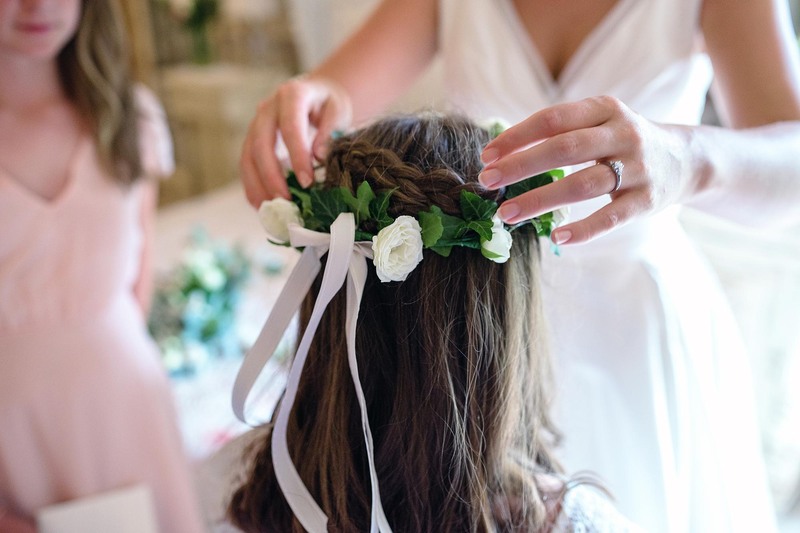 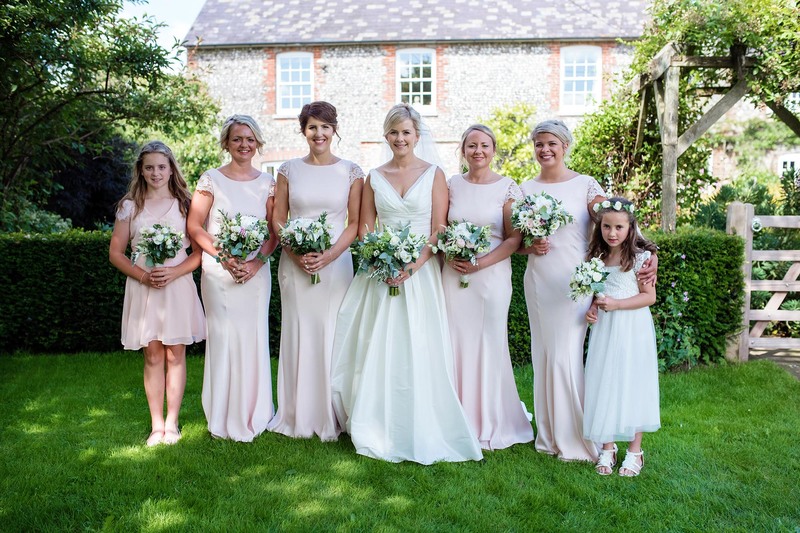 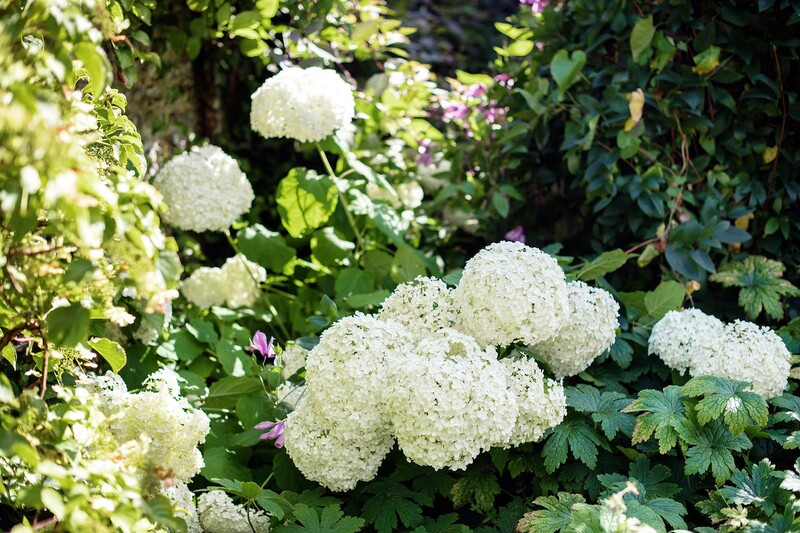 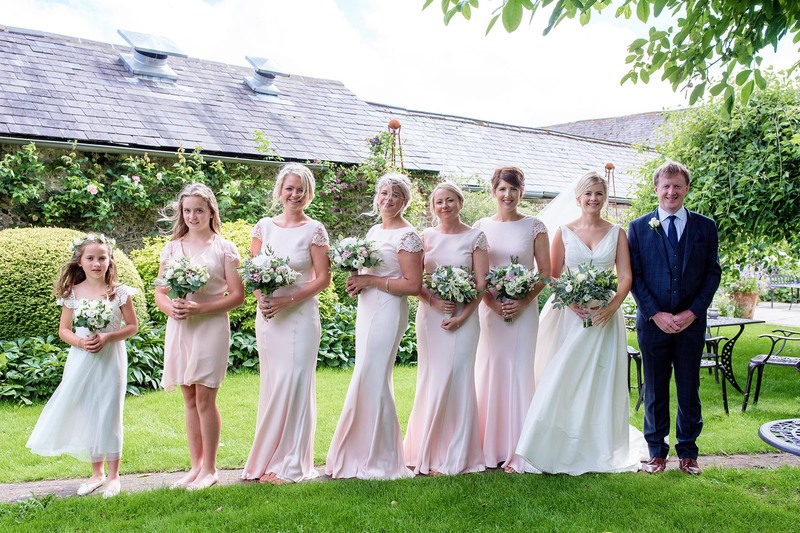 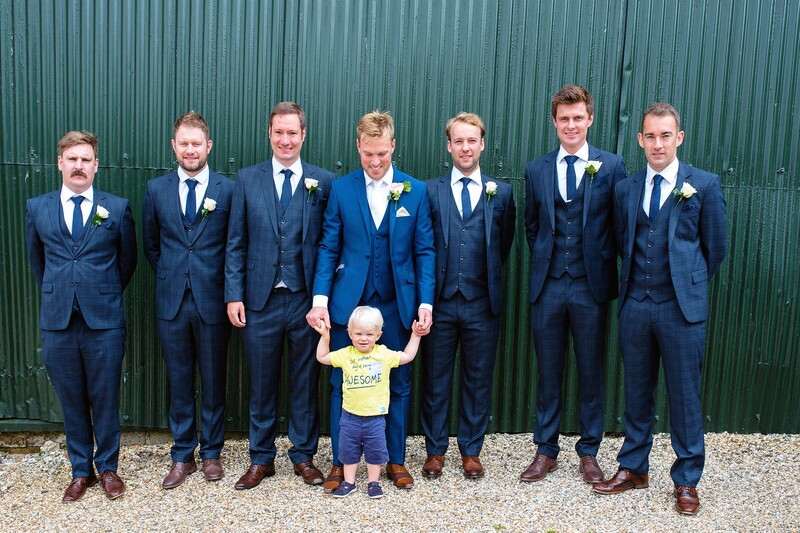 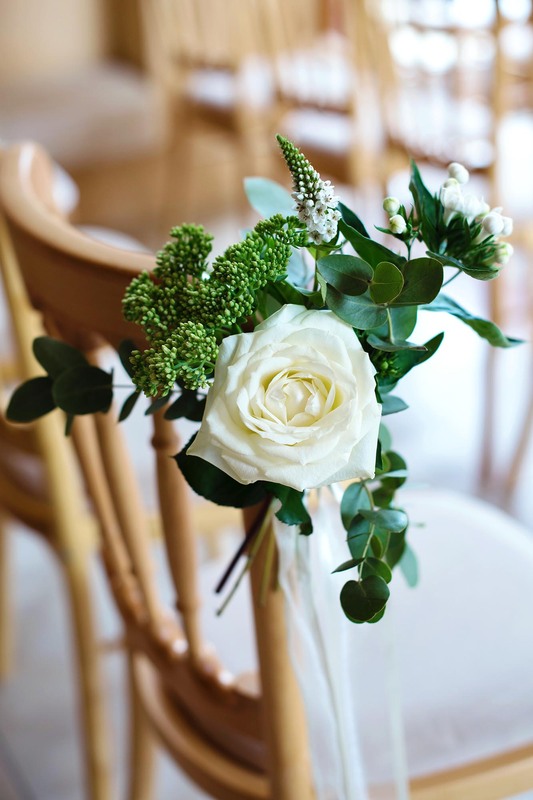 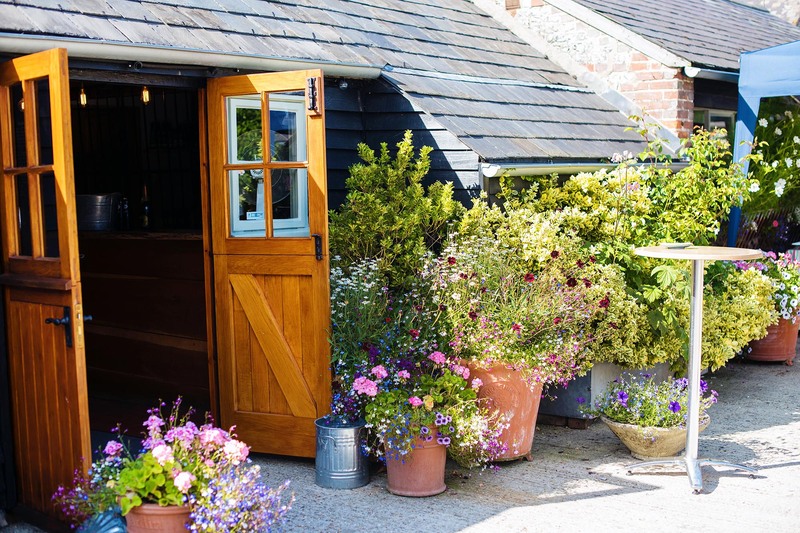 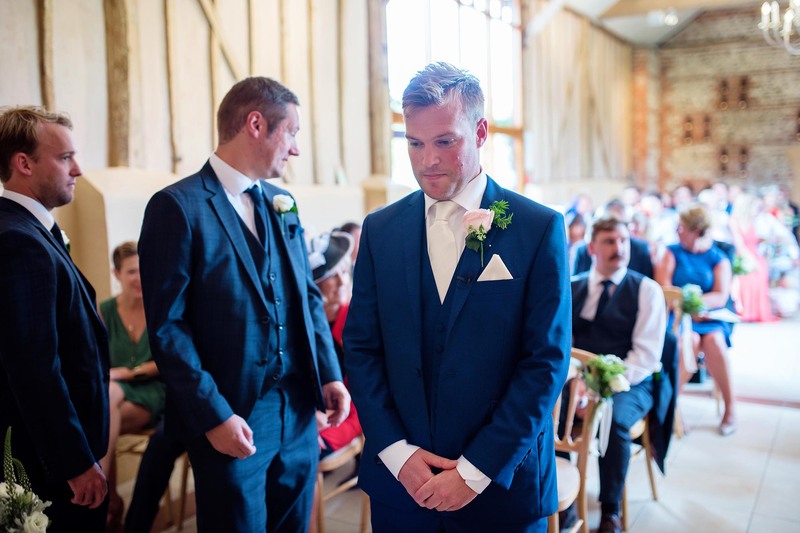 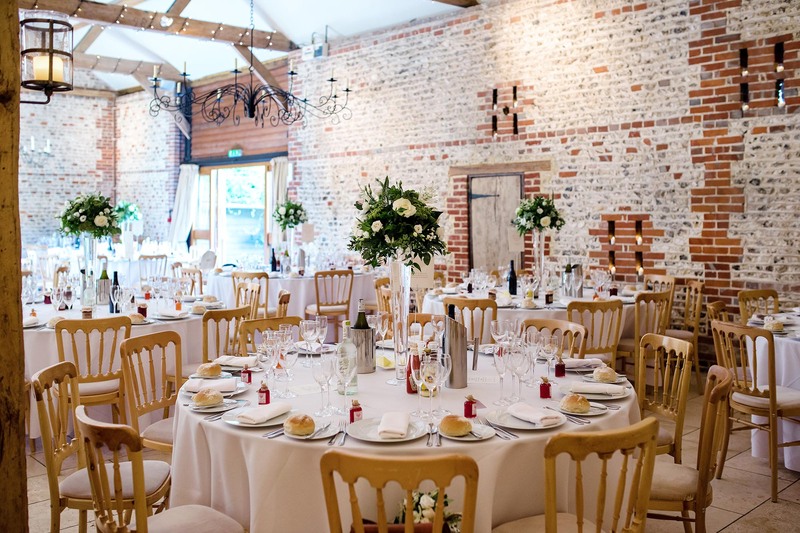 The East Barn was dressed beautifully with wonderful florals by Kate at Stems of Southwater and looked very pretty. 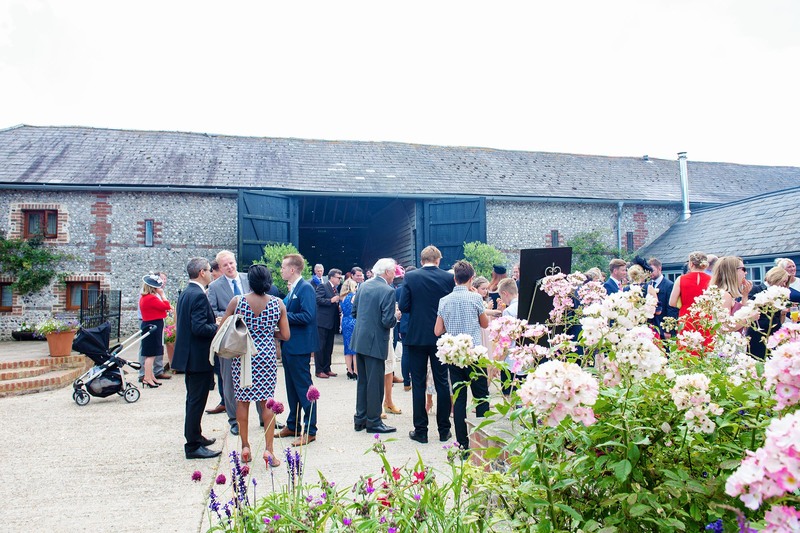 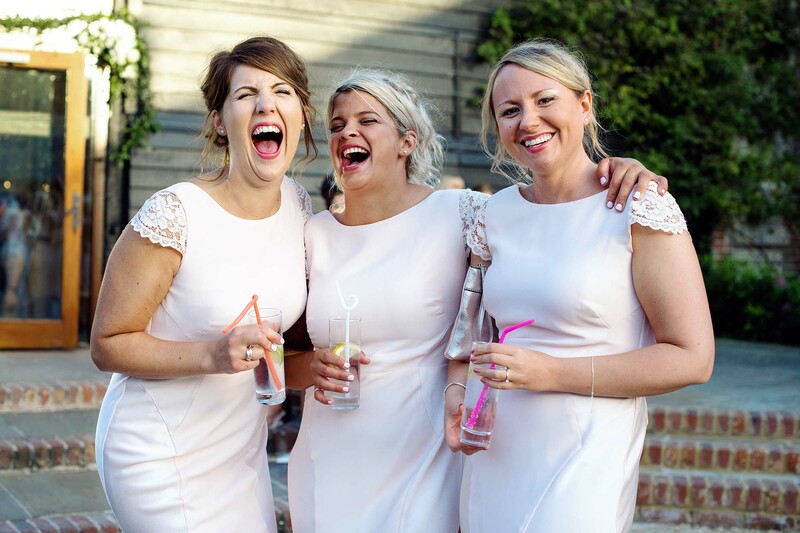 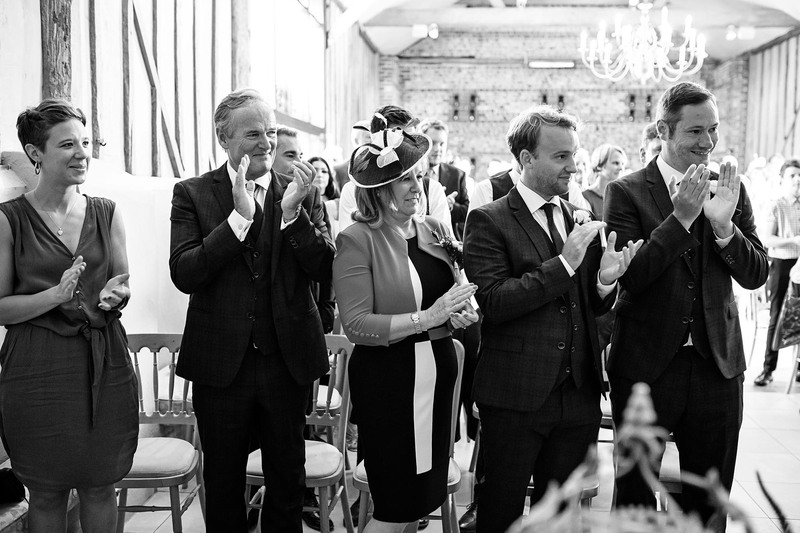 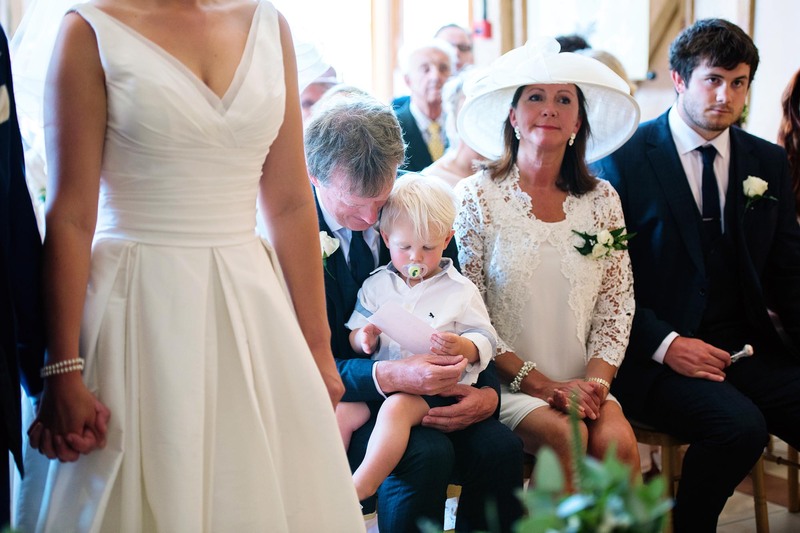 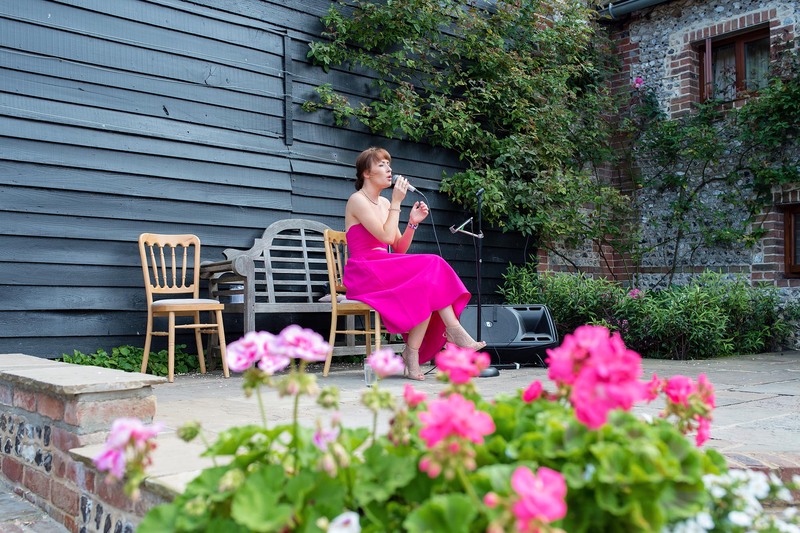 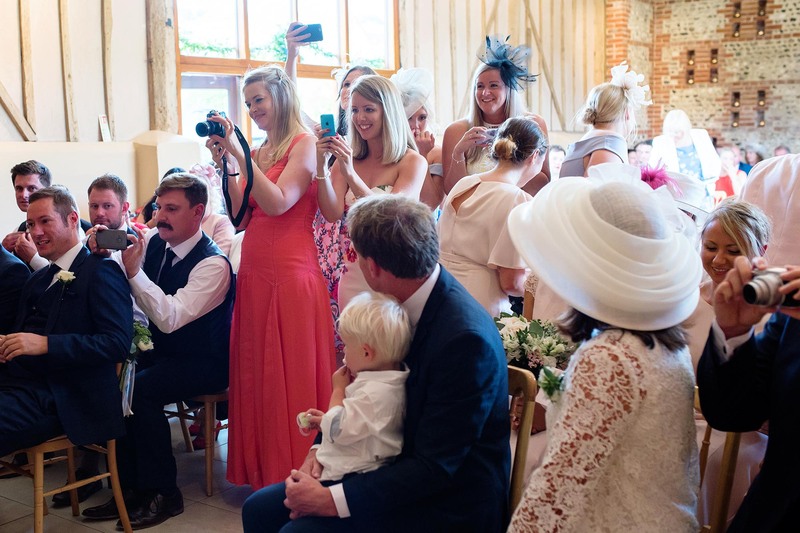 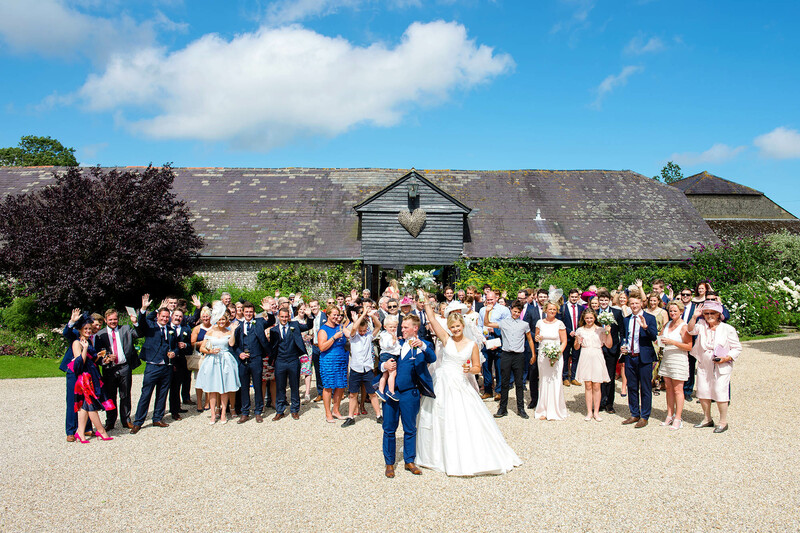 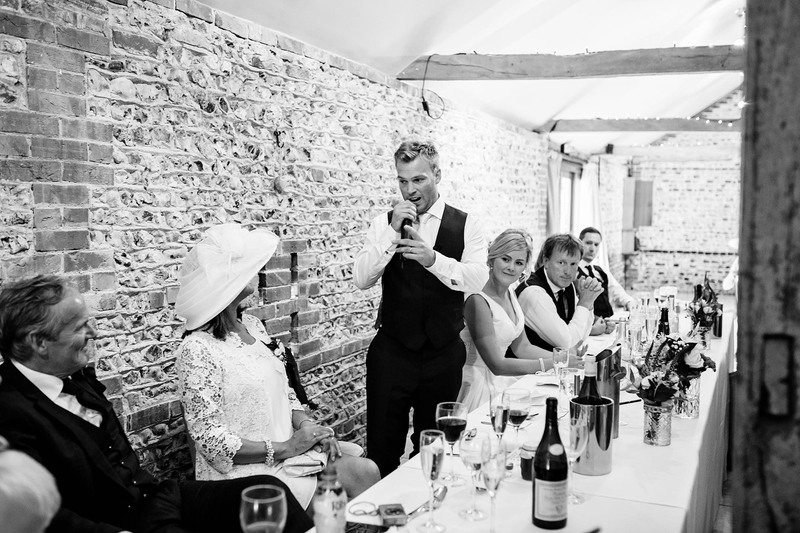 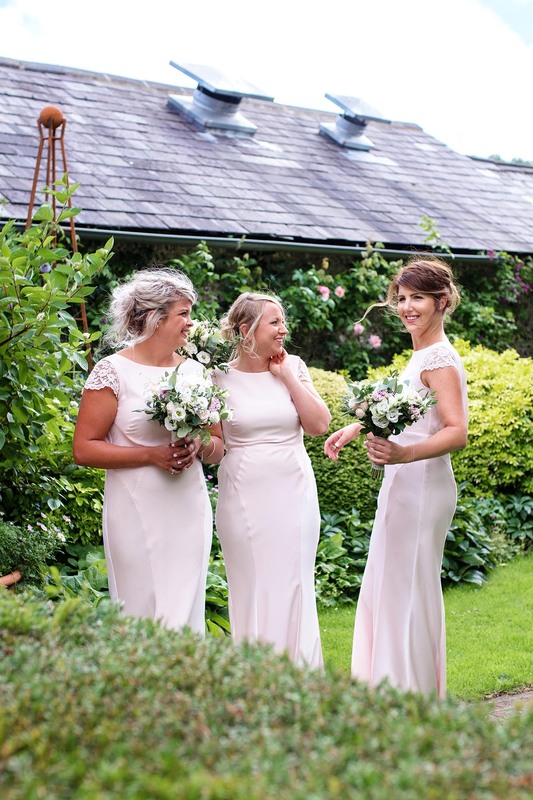 After the ceremony and an amazing confetti line Cath, Oli and their guests enjoyed their drinks reception on what was a very warm August day with the wonderful Rosie Cunningham singing whilst the group photos were taken. 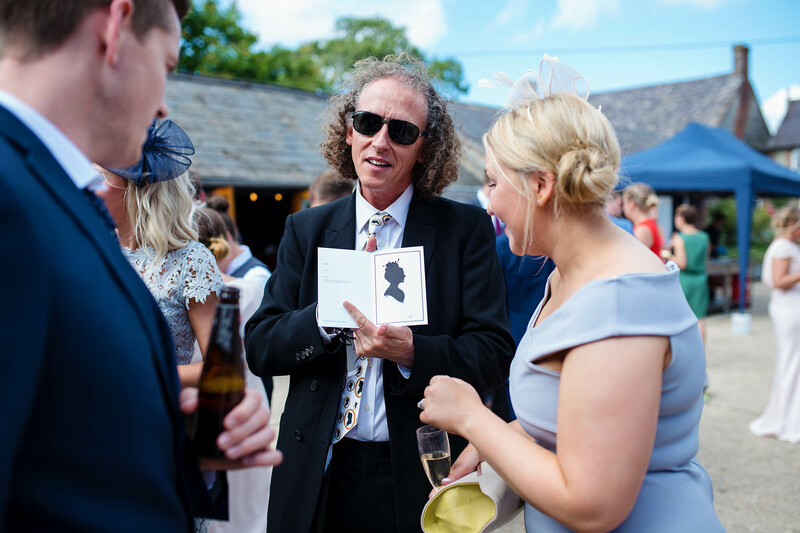 They also had the amazing Silhouette Artist Charles Burns ‘The Roving Artist‘ who cut some pretty impressive silhouettes throughout the reception too! 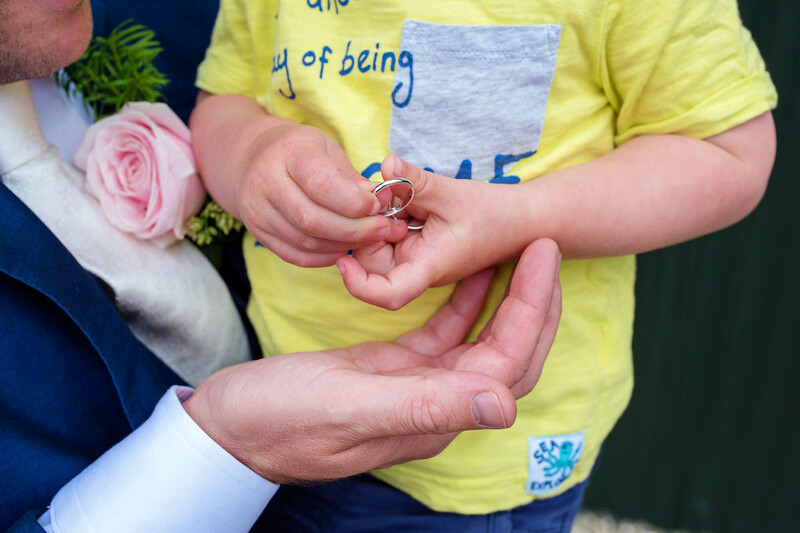 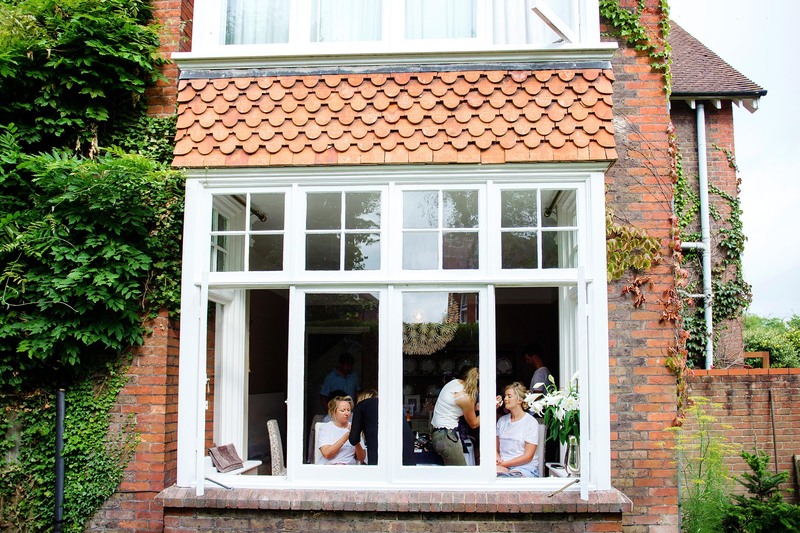 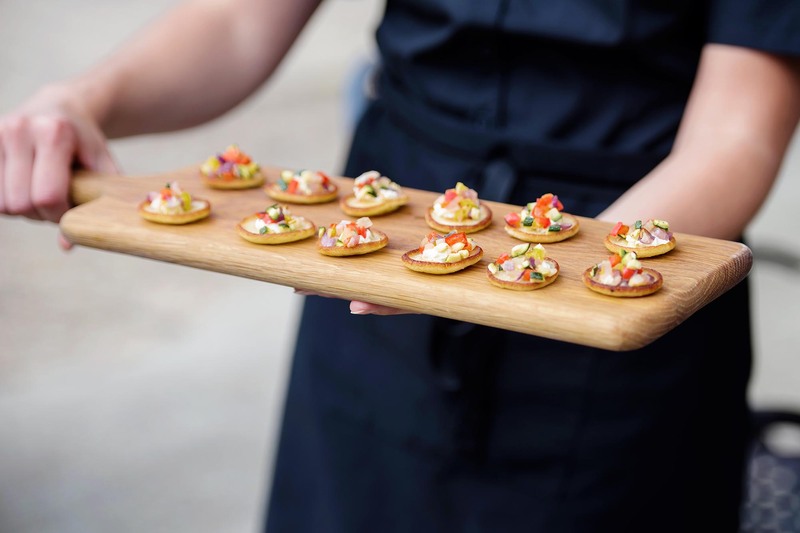 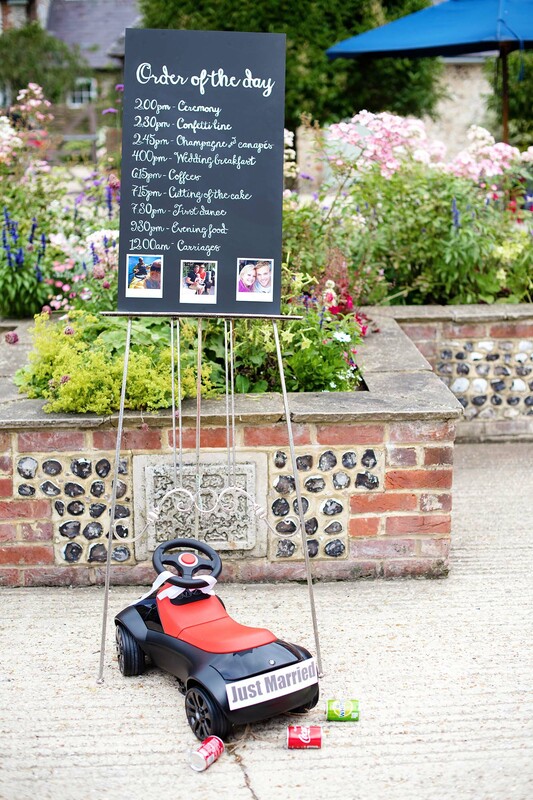 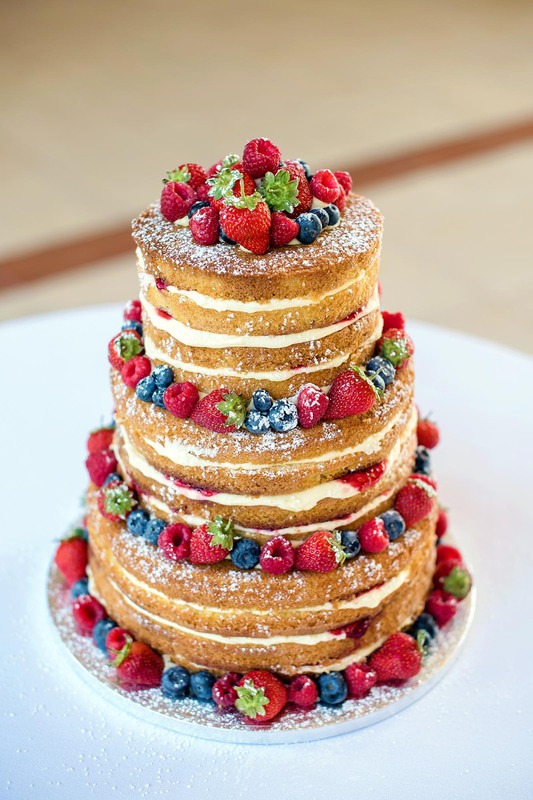 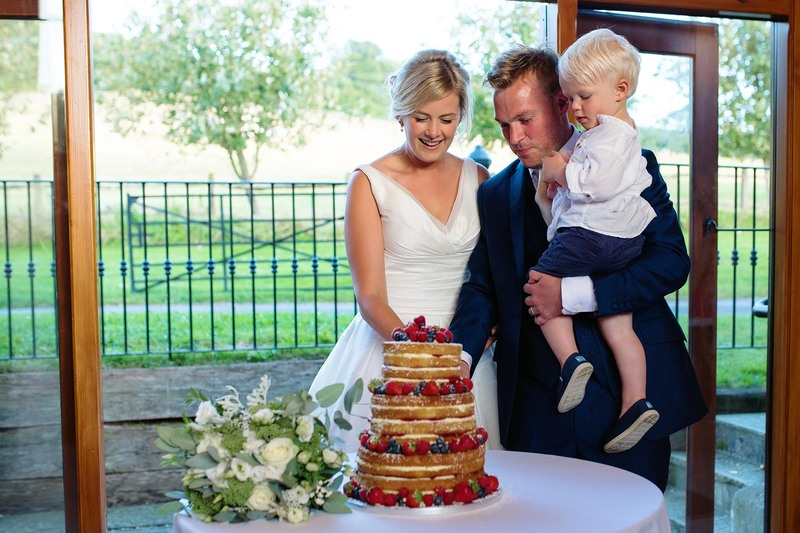 After their very tasty wedding breakfast catered beautifully by the fab Nibbles to Nosh and speeches, guests then made their way outside to enjoy the lovey evening sun and whatch Cath, Oli and their little boy cut their very impressive naked cake by Nic’s slice of Heaven! 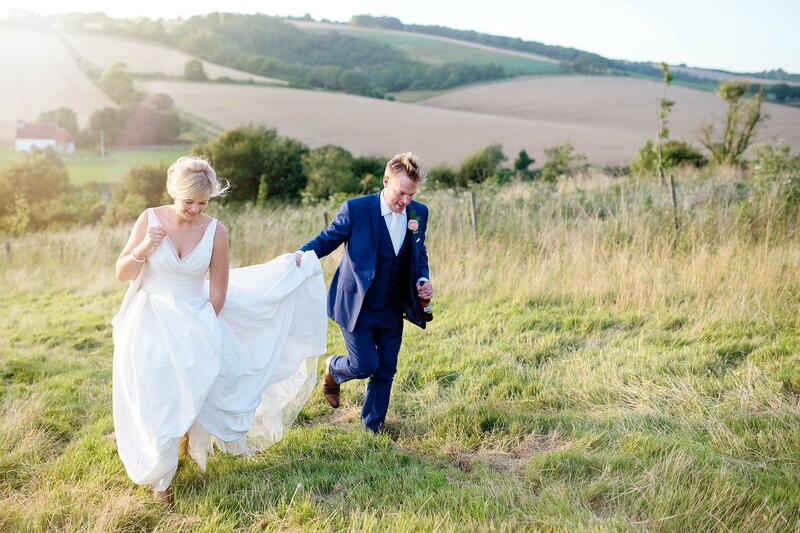 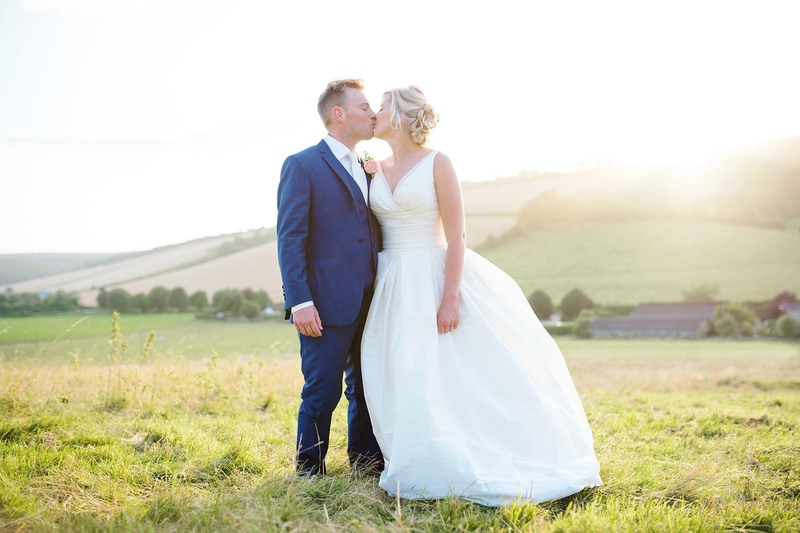 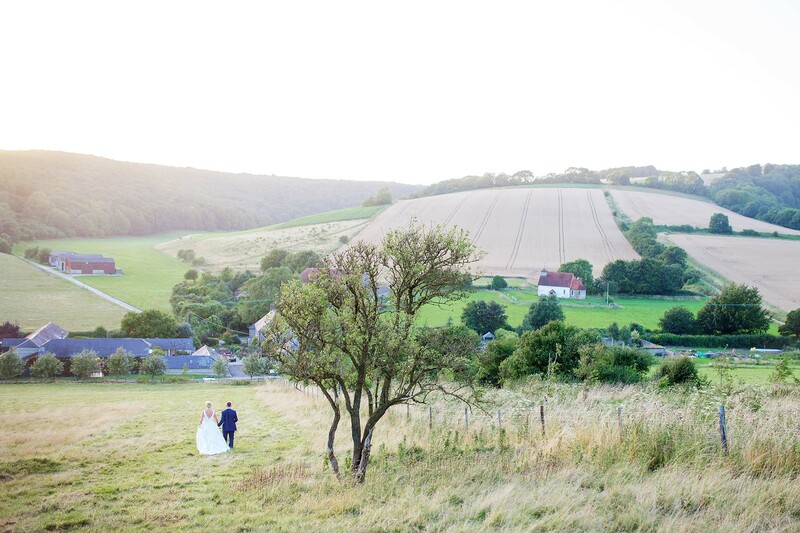 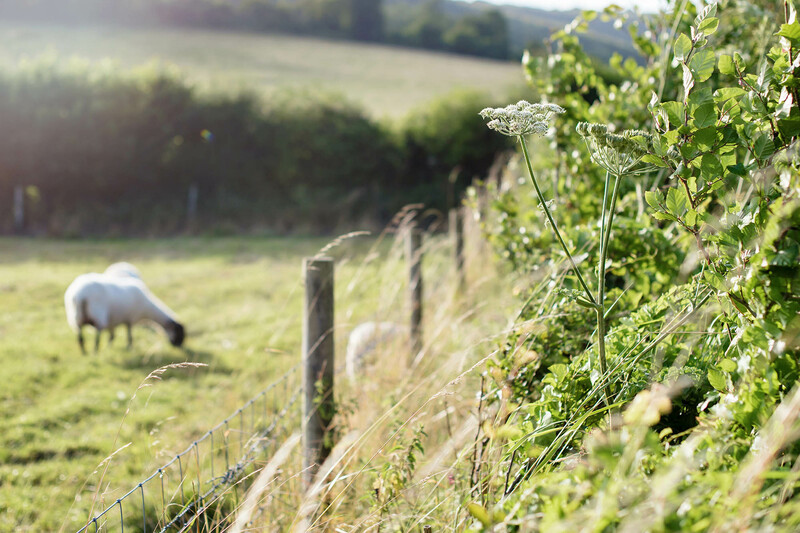 One thing all my couples request at Upwaltham is to pop up the hill at the back of the barns during the evening light for some lovely sunset photos, a part of the day I always enjoy so much making the steep climb up the hill so worth it.